Synopsis: A successful executive and his family find themselves in danger when a psychopathic techie hacks into their home security system. 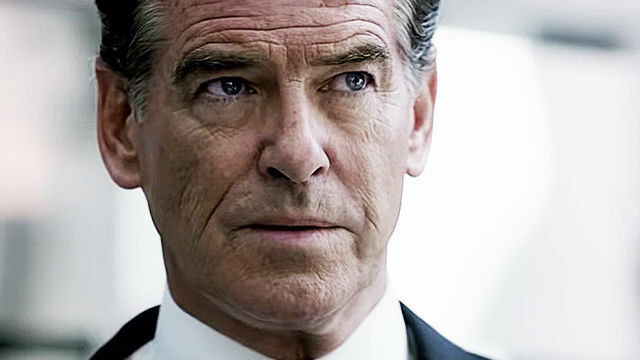 Sleek is the word that comes to mind when considering everything about the life of Irish businessman Mike Regan (Pierce Brosnan – The World’s End, Urge) in I.T. He has a thriving, if slightly over-extended, private airline business; he has a pretty wife (Anna Friel – London Boulevard, The Look of Love) who is much younger than him, and a beautiful daughter (Stefanie Scott) in the first bloom of womanhood. His home is a modern palace of designer furniture and cutting edge technology, and he drives a gleaming new sports car. Even his hair is sleek. And his leather jacket. In fact, the only dark cloud in his life is a touch of employee trouble. Actually, the source of all his troubles is an ex-employee, Ed Porter (James Frecheville – Adore), who’s smarting after Regan warned him off his teenage daughter, Kaitlyn, whom Porter met while fixing the internet at the Regan’s high-tech modern mansion. While he was at it, Porter took the liberty of surreptitiously installing a few add-ons to the household gadgetry and monitoring devices, which provides him with the opportunity to peek at Kaitlyn as she showers, and to terrorise the whole family at will when he falls out of favour. Porter isn’t satisfied with merely watching, though, especially after Regan starts to fight back against his family’s tormentor. I.T. is a competent but forgettable cobbling together of elements from Cape Fear and Demon Seed that refuses to allow a few dozen plot holes to distract it from telling its story. We know Regan must be a smart man because he’s built one of those shiny corporations in which all the walls are made of glass, but he shows little evidence of superior intelligence when it comes to dealing with Porter, a lone psycho operating out of a rambling apartment that is light years beyond his pay grade as a temp techie, and who surveys the cyber-world on nine gigantic screens for no other reason than the movie’s director thinks it looks cool. In fact, Regan is so dim that at one point, he steals evidence of Porter’s guilt from his apartment and presents it to the police without realising it would be inadmissible as evidence, and will result only in his own arrest for burglary. 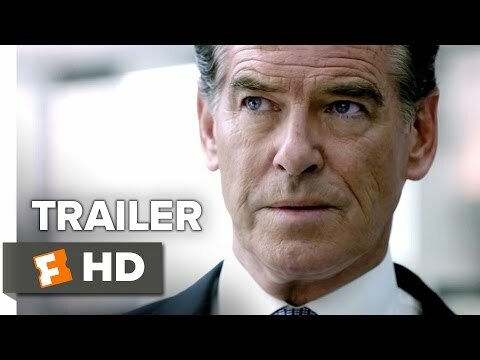 Brosnan tries hard to make Regan likable and sympathetic, but can’t quite shake off the smugness implicit in such a character. Everything about Regan is just too, well, sleek for him to be truly likeable. Even when he does manage to convey Regan’s sense of outrage at the psychological and physical abuse of his family, our sympathy is tempered by the clueless manner in which he attempts to deal with Porter. I.T. is weakened even further by the casting of Anna Friel as Regan’s wife; not because she gives a poor performance, but simply because she and Brosnan never look like a couple who have spent at least seventeen years together.